Since the beginning of the year, several Oregon electric cooperatives have established relationships with local organizations and library districts to help disseminate books to children from birth to age 5 through the Dolly Parton Imagination Library. 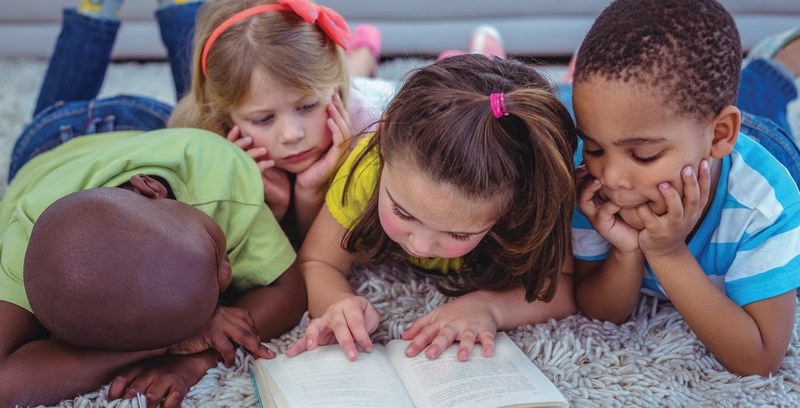 Oregon Trail Electric Cooperative helped blaze the trail for involvement in this project and is a shining example of electric cooperative efforts to fund child- hood literacy around the state. The Imagination Library began in 1995 in Dolly’s hometown of Locust Ridge in Sevier County, Tennessee. Books addressed to the child are mailed directly to the home. Aletha Bonebrake, chairwoman of the Baker County Library Foundation in Baker City, says that whether a parent reads to a child or not, when the book comes into the home in the child’s name, the child will begin using their imagination to tell the story, even if it’s just from the pictures. Aletha heard about the Imagination Library program five years ago after meeting Jan Rippey, who brought the Imagination Library to Wilsonville. The Imagination Library is run by the Dollywood Foundation, which partners with local nonprofits or school districts. The partnering entity is responsible for registering local children and providing stable funding to pay for the books, which is $25 a child a year. There is no cost to families. All children are eligible, regardless of family income. Although the program has been on her radar for several years, Aletha faced the issue of funding it without the benefit of fundraisers. She says the Imagination Library couldn’t rely solely on donations, which would vary from year to year. “It has to have stable funding,” she says. A solution emerged in September 2017. The James and Shirley Rippey Family Foundation offered to pay 50 percent of the cost for new Imagination Library programs started by June 2018 in rural Oregon counties with a population of fewer than 100,000. Through several meetings, an idea for funding surfaced: the OTEC scholarship fund, which is funded by unclaimed capital credits. and cannot be found, or who have died without heirs. By law, these funds can only be used for community programs. With funding in place, the Imagination Library is set to launch early this year. Aletha has been traveling across OTEC’s service district to give presentations about the program and recruit partners in each county to help register children. Parents can also go online and register their child. “Kids are already registering in all four counties,” Aletha says. As Aletha has promoted the program, the response has been positive, with “fabulous” and “unbelievable” being the most common reactions. Aletha says she learned quite a few people expressed interest in starting the program but struggled with funding. The Dollywood Foundation chooses the books and handles the mailing process. The local partner is responsible for managing the list of recipients in an identified geographic area, such as by town, county or school district. According to the program website, imaginationlibrary.com, the Imagination Library at first focused only in Dolly’s hometown. By 2003, the Imagination Library had mailed out 1 million books. The program spread statewide in 2004. By 2006, it had gone across the United States and was eventually launched in Canada, followed by the United Kingdom and Australia. 1 million books a month. In December 2017, the total surpassed 98 million books sent out during the past 22 years. Collectively, Harney, Union, Baker and Grant counties will be the 18th location in Oregon to use the Dolly Parton program. According to officials with the Dollywood Foundation, OTEC is the first electric cooperative in the nation to take a leading role in bringing the Imagination Library to its citizens. Dolly Parton reads “Llama Llama Red Pajama” to a group of developing readers. The following are partnering with OTEC in Dolly Parton’s Imagination Library.